First Lady Melania Trump returned to frigid Washington, D.C. Monday with President Donald Trump and their son, Barron, wearing leather leggings that matched her Hermès “Birkin” handbag. 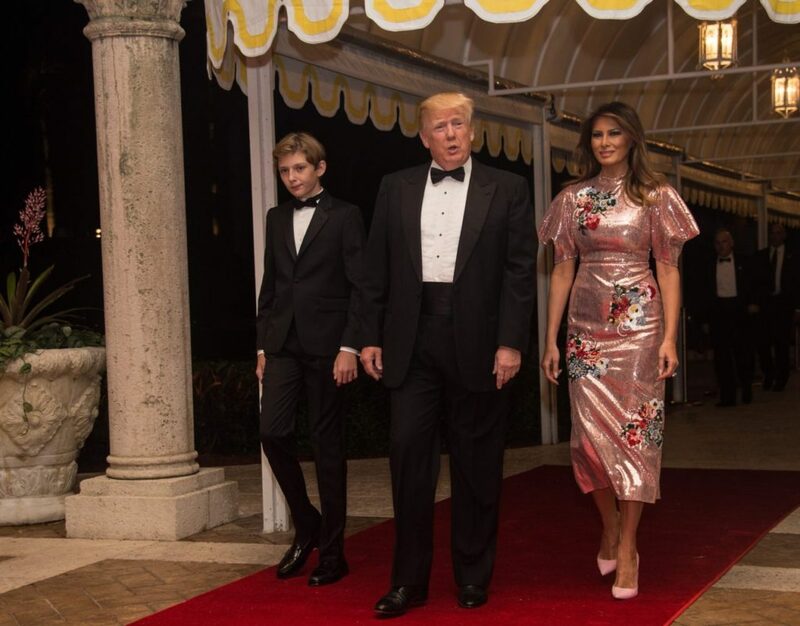 Melania and her family returned to the White House late Monday night after a weekend of partying in Palm Beach, Florida at Mar-A-Lago. 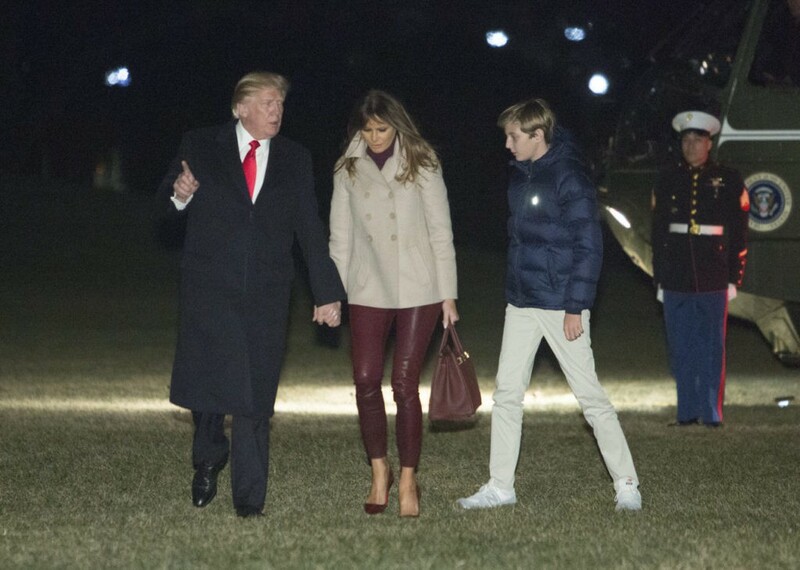 Melania opted for burgundy leather leggings, similar to these Helmut Lang leggings that retail for $920. Always one to be monochromatic, Melania matched her turtleneck sweater — likely cashmere — and between $12,000 to $65,000 “Birkin” bag which is a luxury trademark of the Hermès fashion brand. 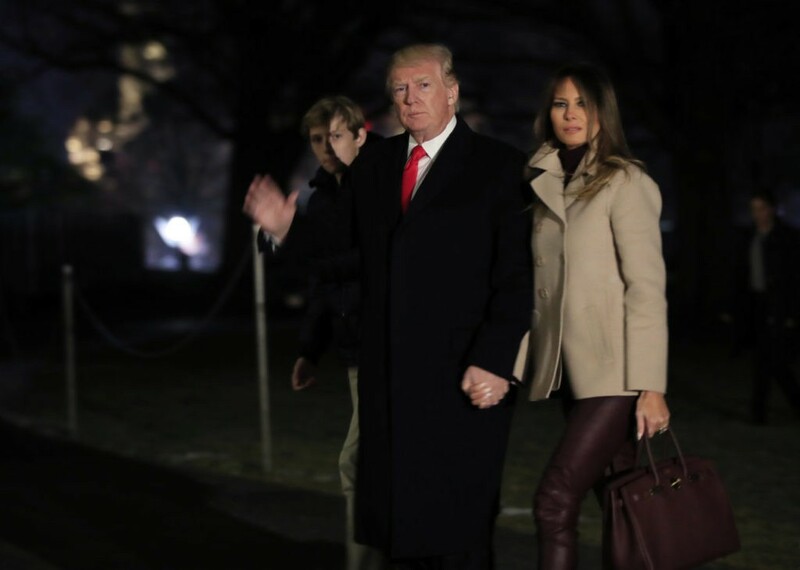 Rather than clunky boots for the cold, Melania bared her ankles in elegant Christian Louboutin stilettos, a favorite of the First Lady’s. 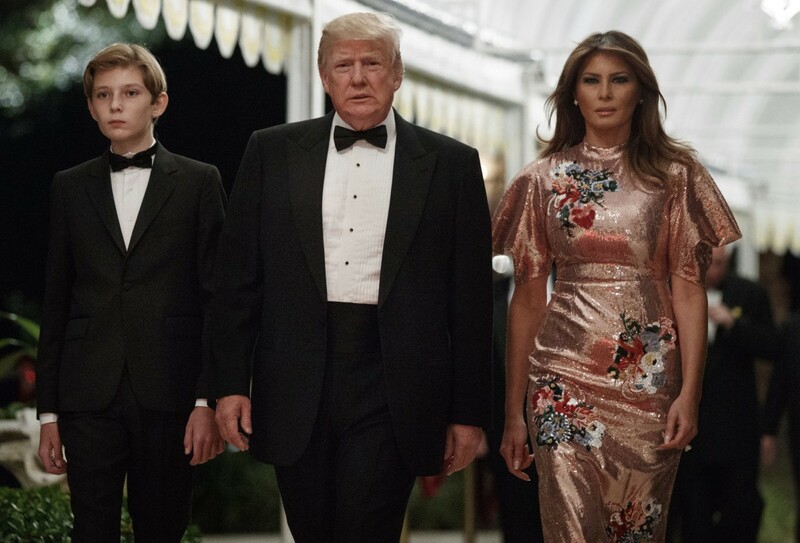 For New Year’s Eve, Melania was divine in a glittering party dress by Erdem that accentuated her small waist while serving as a throwback to the 1980s with its puff sleeves and sequined design.